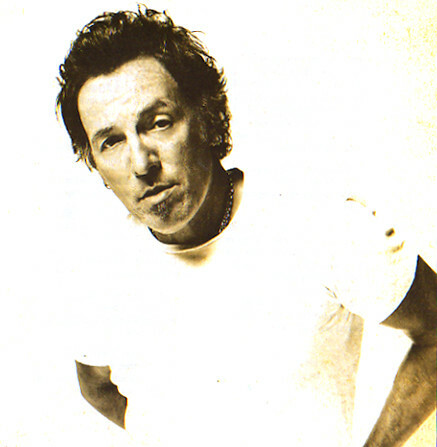 Has Bruce Springsteen (The Boss) ever participated in a Virtual Tradeshow (VTS)? I’m not sure, but if I were an online marketer, here’s how I’d convince my Boss on them. The first thing I’d do is look for B-to-B publishers who are “flooring” industry virtual events that align with my product marketing initiatives. Go find out (from the publishers) who’s already committed to sponsor the VTS. If you’re picking the right events, you’ll notice that your competitors are already on the list. If they’re not there, then perhaps you need to seek out alternative events. But wait – you could also be “first in” with the right event – so just be sure the event’s theme aligns with your marketing plans. So the first point to make to your boss is that your competitors are already on board. So, NOT participating in the same event is a lost opportunity to have a place at the table alongside your competitors. I do see attendees at virtual events ask, “Why isn’t <COMPANY> here?”. If it’s a prominent industry VTS, your absence can speak volumes. Next, develop an explicit goal for your boss that clearly demonstrates the ROI. For instance, how about a goal of 5 late-stage sales engagements – where you’d have to come up with a clear definition (for your boss) of “late-stage”. Now that you have your boss’ ear, go with the lower tier sponsorship available. These sponsorships are priced less because rather than receiving all leads (including no-shows), you only generate leads from attendees who directly interact with you (e.g. visit your sponsor booth or download your content). This puts the onus on you, because you become directly responsible for the success of the campaign – the more visitors you can drive to your booth, the more leads you generate. The upside, though, is that you can influence the cost per lead (CPL) that you achieve. And there’s a possible win-win scenario: low CPL’s and a better qualified lead. Your boss might like to hear about the low CPL, but make sure to emphasize the qualified leads – they’ve had direct interaction with you and their actions with your people or your content tells a lot about them. Now, to get you to those 5 late-stage sales engagements, you have more work to do. Remember that these are shared leads, not exclusive leads. If a VTS had 10 exhibitors, a given attendee might have visited 7 of the 10 booths. This means that they become leads for 6 other companies, some of whom are your direct competitors. You’ll need to convert these leads more effectively than your competition. And often times, this comes down to the simple determinant of, “who acts first”. Don’t let those hot VTS leads sit in limbo in a spreadsheet or CRM system queue. Get those leads over to telesales (or direct sales) and call them tomorrow. If you don’t, you can be sure that your competition is. And that hot lead suddenly becomes your competitor’s customer. A shame! If you’ve never exhibited at a VTS before, enjoy the ride. I think you’ll find it to be fun. This entry was posted on Monday, December 15th, 2008 at 5:42 PM and is filed under Virtual Tradeshows (VTS). You can follow any responses to this entry through the RSS 2.0 feed. You can leave a response, or trackback from your own site.